Open 12 noon - 11 PM, Sun., Mon., Wed., Thurs. This CD is one of the most gorgeous collections of recorded and live music I have ever heard. The tango genre is challenging to replicate, and only true professionals, well versed in this genre, should attempt such compositions. Pasquale Stafano and Gianni Iorio have composed seven new works, all on this album, adding two works by the great tango genius, Astor Piazzolla. This collection of music is not just for occasional listening, even twice or three times. This collection of music is for repeated listening, as it grabs the imagination and transports the listener to Buenos Aires Tango halls. In fact, this music is clearly danceable by tango aficionados. Stafano and Iorio perform generous, gripping solos, respectively on piano and bandoneón or accordion. It was impossible to choose four notable tracks, as each and every track was diverse and mesmerizing. In most cases, when reviewing a CD, I turn the volume down. In this case, I turned the volume up. Four tracks are synopsized below. #2 – Milonguita - Composed by Pasquale Stafano. The "milonga" is a fast version of tango, with different steps. Stafano's Milonguita is a jazzy styled milonga, led by both the piano and bandoneón, each sharing stages of the melodic theme. That contagious theme remains in the mind, until the next track is heard. #4 – El Gran Viaje - Composed by Pasquale Stafano. This composition contains rhythms for performance tango, rapid and tense. Pasquale Stafano's long, atonal piano solo, replete with pregnant pauses, adds edge and drama, while Gianni Lorio's bandoneón adds hints of Piazzolla. Gabriele Mirabassi is featured on clarinet, with whimsical ornamentations. #6 - Alma de Tango - Composed by Gianni Iorio. With a piano introduction, Lorio's composition adds edgy clarinet solos that are usually reserved for a violin, and the effects are splendid, in spinning, surreal melody. Soon the piano and bandoneón echo this theme, followed by Alessandro Terlizzi on a richly textured bass. #9 - Tanguedia - Composed by Astor Piazzolla. 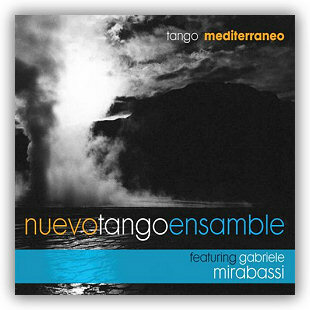 I am quite familiar with this music, from Piazzolla recordings, and NuevoTango Ensamble has captured the essence of its magic and energy. Lorio's bandoneón lashes out with powerful waves of chords, while Stafano creates undulating piano cadences that grow during this almost eight-minute, live track. JazzHausRecords.com has a new, vibrant hit in its current repertoire. See Broadway shows this year such as the award winning Wicked Tickets, or other hot shows like Jersey Boys and Young Frankenstein which is coming soon. Or perhaps a concert is your fancy, better get your Hannah Montana Tour Tickets now before they sell out.